The pre-launch hype about the Jaguar XE rumbled on for months, culminating with a car being helicoptered into a celeb-packed Earl’s Court, serenaded by pop princess, Emeli Sande. 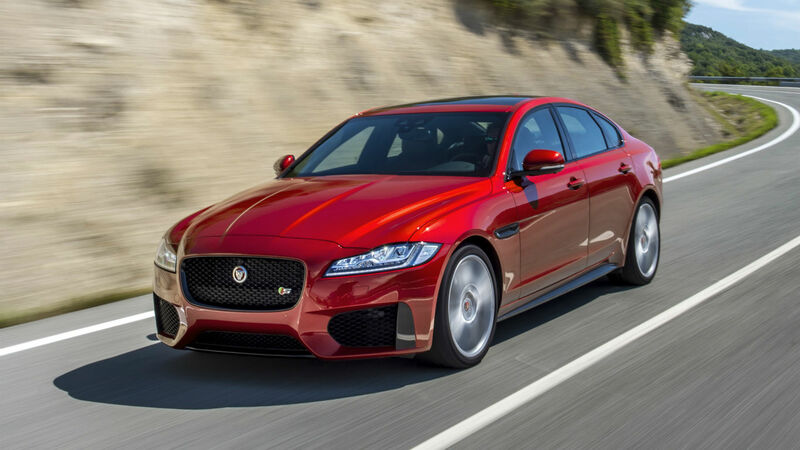 There’s no such razmatazz for the XE’s big brother, the new 2015 XF. 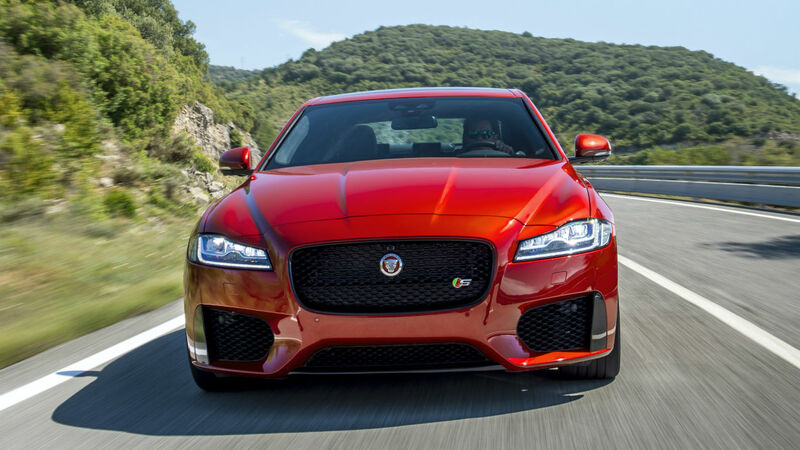 Just a flight to Spain to drive on mountain roads near Pamplona – followed by track time in the range-topping 380hp XF S.
Fortunately, Jaguar’s luxury saloon doesn’t need the star-studded talents of Stella McCartney, the Kaiser Chiefs or, um… Gary Lineker to stand out. 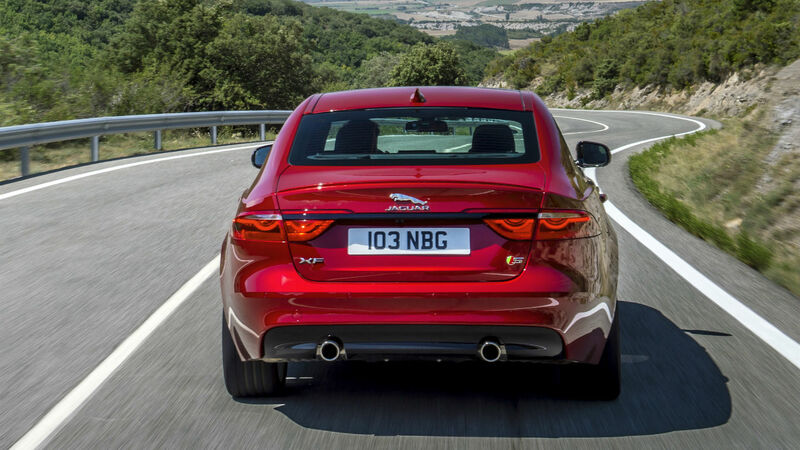 It may not look that different to the old XF (or indeed the XE), but it’s undeniably handsome, with squat, sporty proportions and a sweeping, coupe-like roofline. Beneath the surface, the new XF’s body is built largely from aluminium to save weight. And new ‘Ingenium’ diesel engines promise big gains in fuel efficiency. There are four powerplants available at launch: 163hp or 180hp 2.0-litre diesel, 300hp 3.0-litre V6 diesel and 380hp 3.0 V6 petrol. The 2.0-litre diesels come with six-speed manual or eight-speed automatic gearboxes; the 3.0-litre engines are auto-only. The entry-level 163hp diesel is the expected bestseller, particularly for company car drivers. It sprints to 60mph in 8.2 seconds and ekes out 70.6mpg with CO2 emissions of just 104g/km. That equates to £20 annual car tax at 2015 rates (figures for the 2.0 163 auto are 68.9mpg, 109g/km and £20 respectively). At the opposite end of the scale, the 380hp supercharged XF S storms to 60mph in just 5.1 seconds and returns 34.0mpg and 198g/km (£265 car tax). 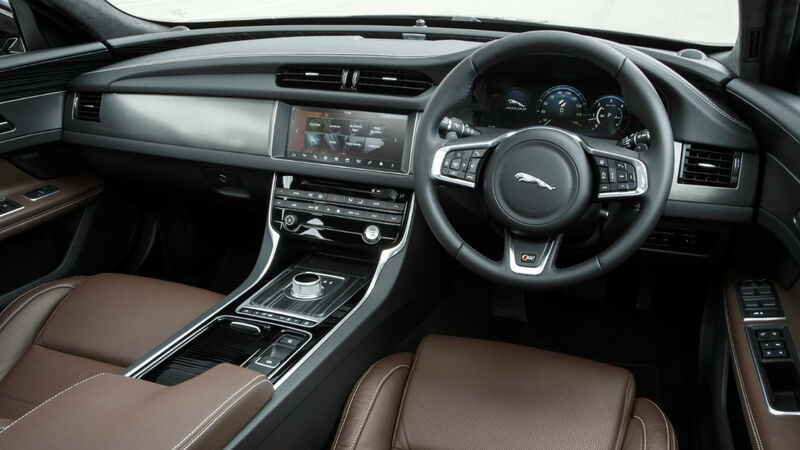 Buyers can choose from four trim levels: Prestige, R-Sport, Portfolio and S. All come with Jaguar’s InControl Touch media system, with an 8in touchscreen, navigation and voice control. Optional InControl Touch Pro arrives later this year, with a larger 10.3in screen and ‘virtual’ instrument display – similar to the latest Audi TT. 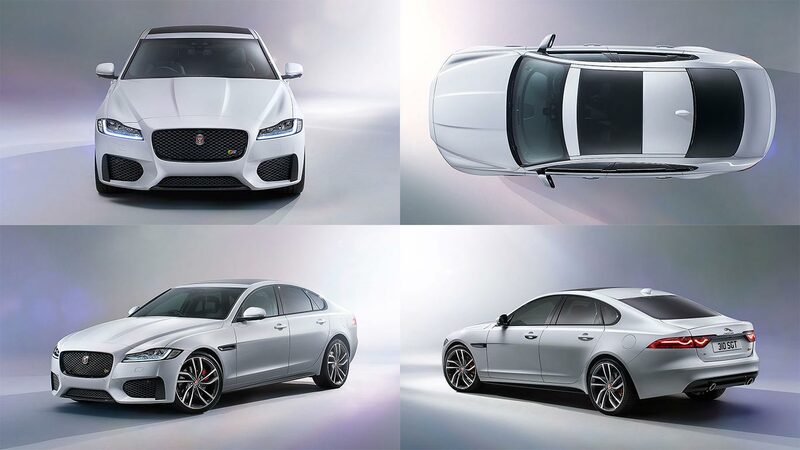 XF prices start at £32,300 for the 2.0d 163 Prestige, rising to £35,100 for the mid-range 2.0d 180 R-Sport. The range-topping 3.0 V6 S is £49,945. Jaguar saloons used to be softly-sprung, comfortable and, for want of a better word, ‘wafty’. The original XF marked a shift away from softness to sportiness as Jaguar tried to shake off its ‘old man’ image. The new XF is very much cut from the same Lycra. It’s a sports saloon in the mould of the BMW 5 Series, rather than a comfy cruiser like a Mercedes-Benz E-Class. As such, its ride is on the firm side, especially at low speeds around town. The V6 we tried had optional adaptive dampers and was noticeably better in this regard, although still a little stiff on huge 20in alloys and rubber-band tyres. Fortunately, the trade-off for a little wiggle and jiggle is secure and confidence-inspiring handling. The XF turns in eagerly, its standard torque vectoring system subtly braking the inside wheels to really tug you around tight corners. The steering is direct and full of feedback, while the eight-speed automatic automatic gearbox adapts seamlessly to your driving style. Only a rather spongy brake pedal lets the side down. Frustratingly, the predicted bestseller – the 163hp 2.0-litre Ingenium diesel – wasn’t available to drive at the launch. However, we did try the 180hp version, which costs between £500 and £900 more to buy (depending on spec) and is only slightly less efficient. The new engine is an impressive all-rounder: smooth, refined and decently quick (0-60mph takes 7.5 seconds). It’s all you really need. Just don’t drive it back-to-back with the 3.0-litre V6. Ah yes, the V6. This flagship 380hp lump is lifted straight from the F-Type and transforms the XF into something very far from ‘old man’. Kick-down is downright savage with the gearbox in Sport mode, and the whine of the supercharger as this luxurious saloon gathers its skirts and charges for the horizon is addictive stuff. We also sampled the – somewhat more sensible – XF 3.0-litre diesel, which occupies the middle-ground between these two extremes. Its muscular low-rev torque makes it feel almost as quick as the petrol V6 in normal driving, but you’ll pay a hefty price – nearly £11k more than the most expensive 2.0-litre diesel. And if you can afford £50k, you can afford the petrol car’s supercharged fuel bills, right? The outgoing XF didn’t just ditch the soft suspension of Jaguars past. It also swapped trad walnut-n-leather for an interior more akin to a trendy wine bar. Aluminium detailing and cool blue lighting were the order of the day. 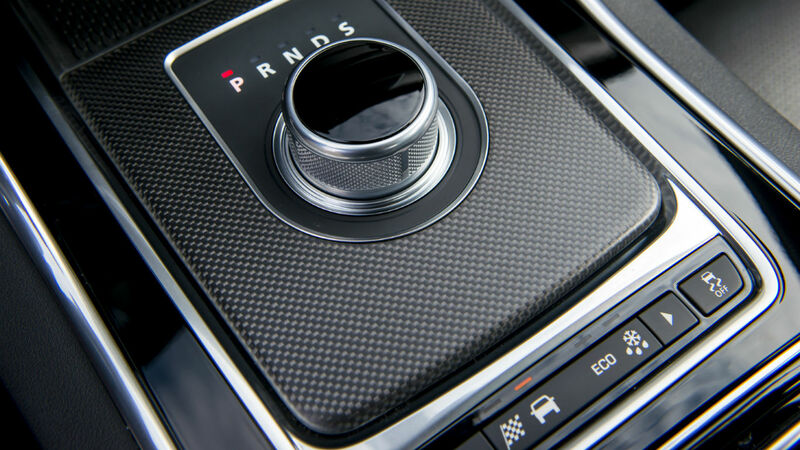 The new XF keeps the rotating air vents and rotary gear selector of its predecessor, but the rest is all new. A low seating position and wide centre console make the driver feel cocooned inside the car, while the sporty, three-spoke steering wheel feels great. There’s good news for passengers, too. Rear legroom is up by 15mm, while headroom has increased by up to 27mm. Spend a little more and you can even treat the kids to heated rear seats and four-zone climate control. Most XFs have conventional dials, but a 12.3in ‘virtual’ display is available, in conjunction with the new InControl Touch Pro media system. We tried a developmental version of this set-up, which isn’t available until the end of 2015. It’s bold, bright and very user-friendly, with iPad-style swipe and ‘pinch to zoom’ functionality on the central touchscreen. However, we were less enamoured with the virtual dials, which are harder to read than the old-fashioned physical type. 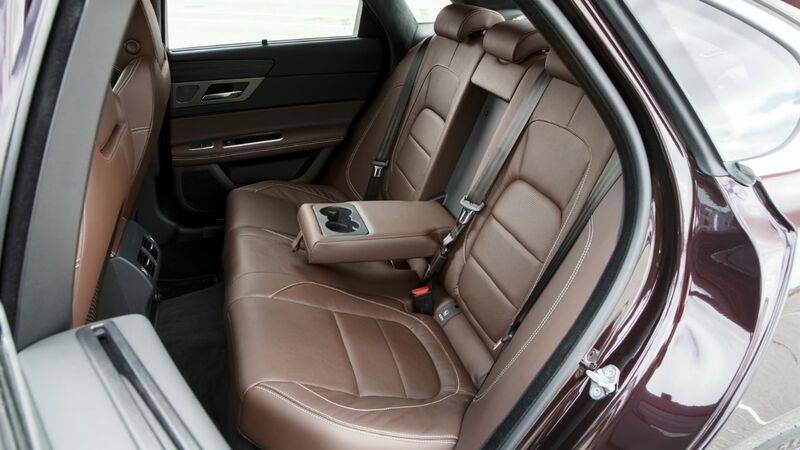 The XF comes with all the safety kit you’d expect, including automatic emergency braking. However, Jaguar has followed the German brands’ lead elsewhere, relegating many of the most desirable features to the options list. Full-LED headlights, a laser head-up display, adaptive cruise control, auto parking and a ground-shaking 17-speaker Meridian sound system are all available, if your pockets are deep enough. Right, ignore everything we said earlier about buying the supercharged V6 petrol. If you want affordable running costs, the four-cylinder diesels are the ones to go for. Jaguar’s 15 years of expertise with aluminium has certainly paid off. Not only is the XF 2.0d 163 the lightest car in its class by 80kg (equivalent to ditching an adult passenger), it also boasts the lowest CO2 emissions of any non-hybrid model – at 104g/km. That’s great news for company car drivers and means just £20 annual car tax at 2015 rates. Claimed fuel economy of 70.6mpg is not to be sniffed at either. The XF isn’t cheap to buy, though. Its starting price of £32,300 is around £1,500 more than an equivalent BMW 5 Series. 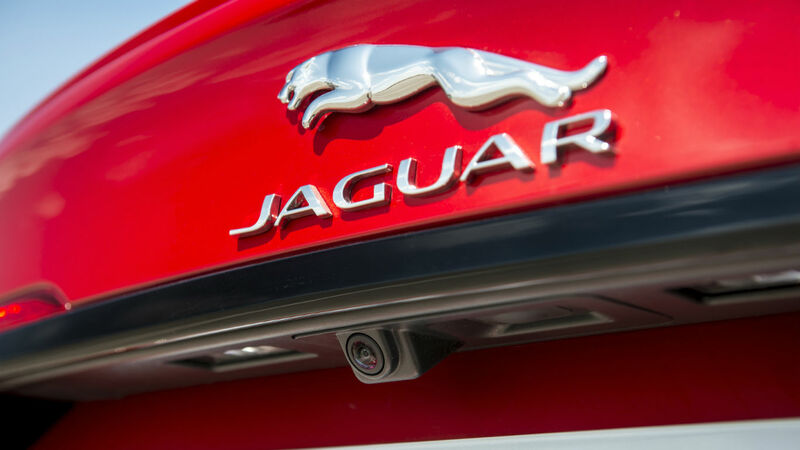 However, residual (resale) values are forecast to be among the best in class and, according to Jaguar, that reduces whole-life running costs for the 2.0d to less than the Germans. One question mark with the new XF is reliability. The marque has fared well in recent JD Power surveys, which focus on newer cars. But the – more in-depth and comprehensive – Which? 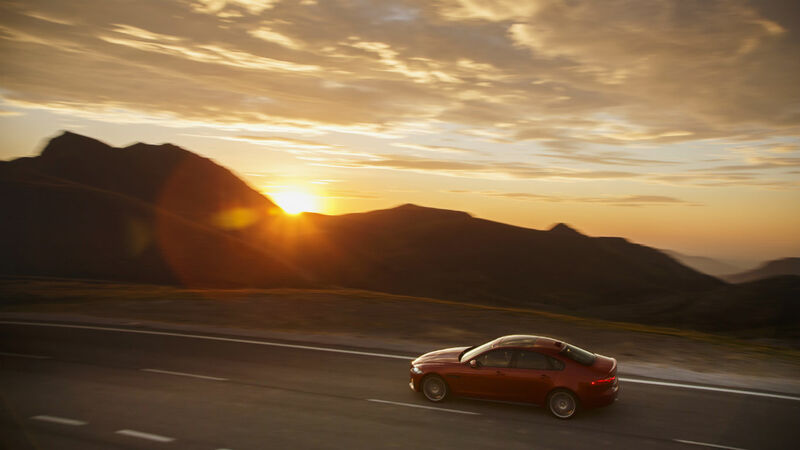 Car Survey points to longer-term reliability issues across the existing Jaguar range. The new XF isn’t a game-changer like its predecessor, but it doesn’t need to be. It builds on the strengths of the outgoing car, with added ‘grace, space and pace’ (to quote the famous vintage Jaguar ad). Oh, and a large dollop of extra efficiency, too. If you’re looking for the last word in luxury, you’ll be better served by a Mercedes E-Class. 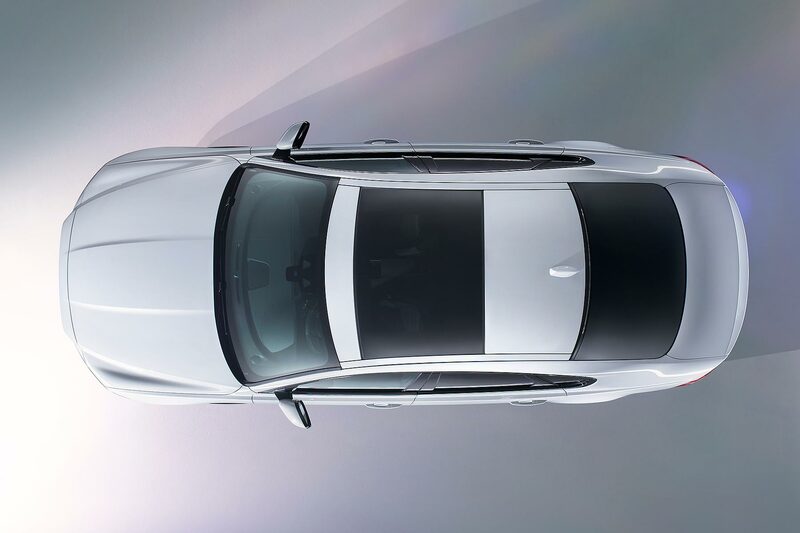 The XF is unashamedly a sports saloon, and it rewards keen drivers with a chassis that matches the best BMW can muster. Nonetheless, all its main competitors are very competent cars that we’d happily drive every day. 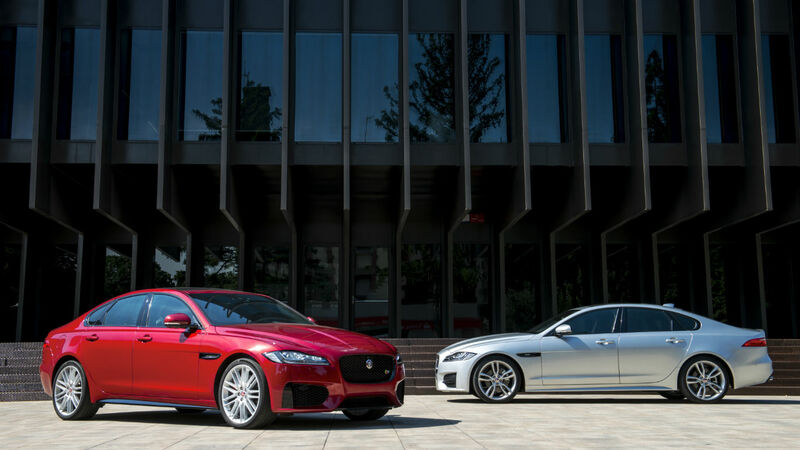 Much of your choice essentially comes down to design – and here the XF excels. Removing our objective road-test hats for a moment, we think the XF is comfortably the best looking car in this segment. It’s sleek and elegant, with a low-slung silhouette that hints at sportiness within. The fact that it looks very similar to the smaller XE hardly seems to matter – identikit cars have done Audi and Land Rover no harm. The XF’s cabin is gorgeous, too. And quality feels sufficiently good to allay our fears about long-term reliability. Just go easy on those extra-cost options. 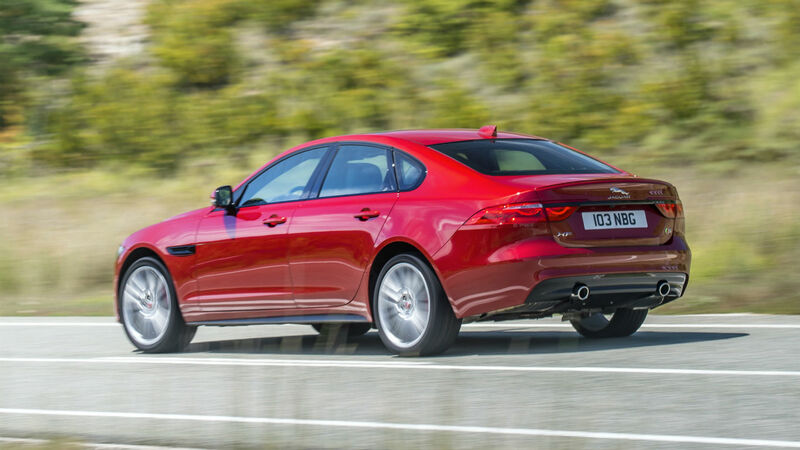 From frugal Ingenium diesels to fire-breathing V6 petrol, the XF has got most bases covered. If you’re in the market for a luxury saloon, it should be near the top of your shortlist. 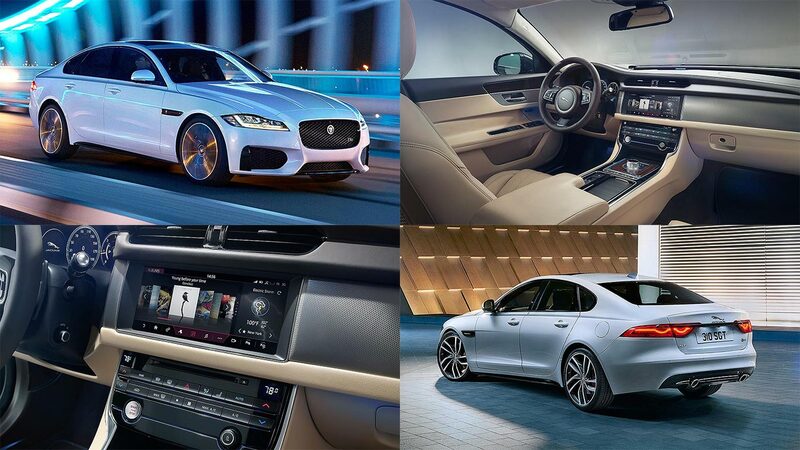 Priced from £32,300 and arriving later in 2015, here’s all the facts on the new Jaguar XF.